Chandrababu Naidu, regardless of all the good work he has done, continues to be taunted by political rivals as a “back-stabber”. 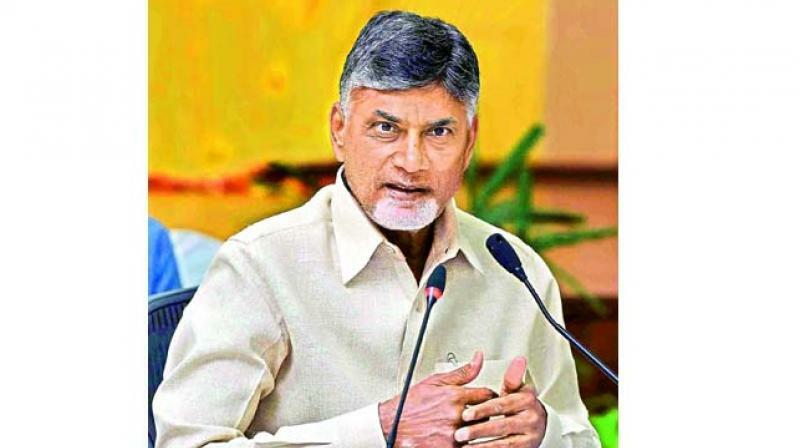 The other day, Prime Minister Narendra Modi, on his first visit to Andhra Pradesh after the TDP broke ties with the BJP, launched scathing attacks on Chief Minister Chandrababu Naidu in Guntur. Recalling how Naidu conspired against his father-in-law NTR to come to power, Modi described him as a ‘senior in backstabbing’. While Naidu is often branded as a ‘backstabber’ by the opposition, Modi’s cynical depiction of the TDP supremo once again reinforces how politicians target the “past deeds” of their opponents’ repeatedly. Apparently, this phenomenon has become a common practice for political parties across the board. Telangana Pradesh Congress Committee (TPCC) Chief Spokesperson Dr. Sravan Dasoju states that the whole discourse of politics in the name of criticism has taken a different colour. He adds that the way leaders are repeatedly amplifying others’ wrongdoings is embarrassing. Former Minister and Congress leader Geetha Reddy points out that such a phenomenon exists across the world, and further calls for constructive criticism. “Politics is slowly becoming degrading! When I stepped into politics in 1989, I saw Atal Bihari Vajpayeeji as a statesman, but today, times have changed and so have the values. Leaders should criticise only on people-centric issues, and not indulge in personal attacks,” shares Geetha Reddy. However, BJP leader Kishan Reddy begs to differ, saying that Modi's statements are not a repeated personal onslaught, but that he was only recalling the circumstances under which Naidu came into power then. He further adds that politicians can’t get over such a haunting past. “As a political personality, when you make mistakes, it will remain forever in the books of history,” says Kishan Reddy. While there’s a very fine line between making political and personal comments, parties often look to find issues against the opposition that the public can connect with. Political strategist Phani Bhushan Kukkadapu says that today’s politics is all about psychological play. He adds that since it is very difficult for politicians to educate the masses, they want to quickly entertain people by recalling and mocking their opponents’ past deeds. “Maligning is an easy way of reminding people about a leader’s past deeds, and it further prompts the people to reconsider their opinion,” explains Phani, who formulates political campaigns based on the leaders’ past behaviour and their constituency strength. Political parties are being criticised for not bringing up matters with regards to good governance. In fact, speeches that expound policy affairs and development have totally been sidelined. Mohan Guruswamy, former Chief Economic Advisor to the Government of India blames political parties for not discussing issue-based politics and instead only exploring routes to come to power and making money. While the debate continues as to whether leaders should show accountability when criticising others, Dr Janardhan, Associate Professor, Department of Communication, University of Hyderabad, explains that people are looking for sensational news. “Since the accuser doesn't have enough to showcase, he naturally resorts to engage the audience by digging up the past,” he explains.